Do you suffer from dry eye? TrueTear® is the solution for you. TrueTear® provides temporary relief from dry eye through the increased production of natural tears. 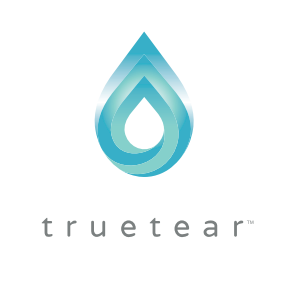 TrueTear® is a user-controlled device that increases tear production through neurostimulation. This is a drug-free and drop free option for relieving dry eye. You set the pulse level of the TrueTear® device and the pulses tell your brain to produce more tears. Turn the device on by holding the plus sign for 2 seconds. Blue LED lights will show what setting you are in, choose the setting you prefer for your stimulation. It is recommended first time users start at level 2. Once you have set your level, there are not any other buttons you need to press to start neurostimulation. The TrueTear® device includes a base unit, disposable tip, carry cover, and charger. The tip is disposed every 2 days or 48 hours. The tip should be cleaned after every use. TrueTear® users report a tingling or tickling sensation. Some feel the sensation of a sneeze coming on. The strength level you are using can influence the sensation you feel. The most common side effects include nasal pain, discomfort, or burning. If you are experiencing any side effects be sure to talk to your doctor.